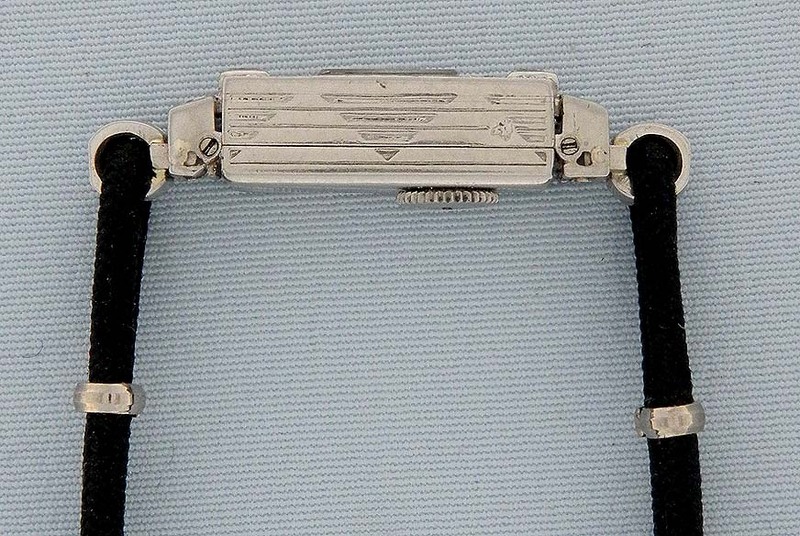 Fine tiny Swiss platinum and diamond ladies Verger Art Deco vintage backwind wrist watch circa 1925. Silver dial with black markings and blued steel hands. New old stock band with 14K white gold fittings. Nickel 17 jewel caliber 104 movement. Signed Verger on the inside of the case with the name of the retailer on the back. Elegant.